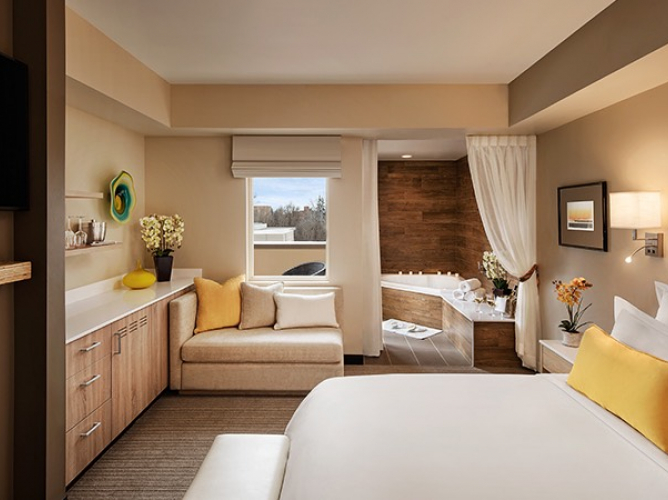 Unwind in our spacious guest rooms and suites featuring contemporary furnishings, private butler pantries, and beautiful views of the Boise skyline and nearby Julia Davis Park. Curl up on a plush bed framed by a sleek upholstered headboard and finished with custom Italian linens, relax in an oversized spa-style bathroom with walk-in rain shower and double vanity, and soak up the all-over Idaho vibe reflected in every design detail. 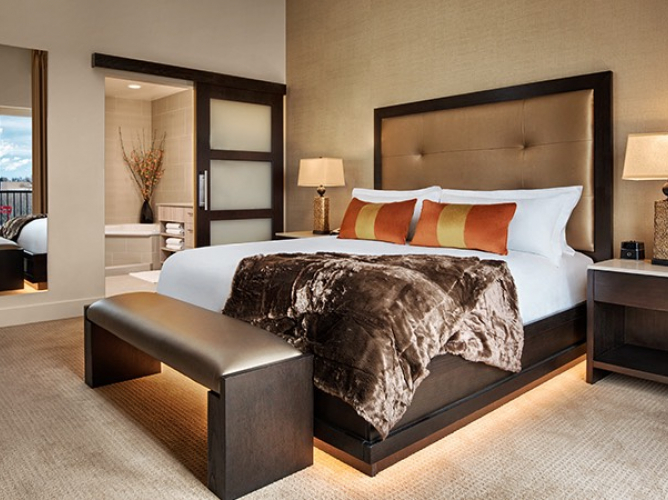 Furnished with a king bed or two queen beds, our modern guest rooms take their design cues from Boise’s urban cityscape, amped up with all the high-tech amenities you love. With glowing fireplaces, private balconies, sleeper sofas, and walk-in glass showers, it’s easy to see why our junior suites and one-bedroom suites are the best in Boise. 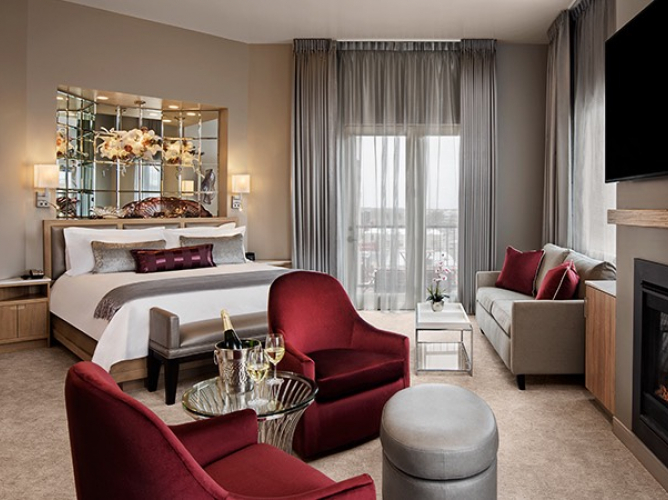 Pairing stunning views with sleek living spaces, our three penthouse suites exude urban city style. Each one is unique but all offer a spacious and sophisticated home-away-from-home in Boise.